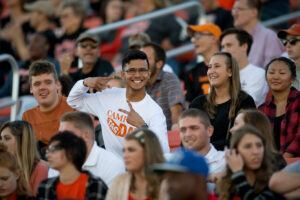 Students, alumni, faculty and staff will be decked out in their finest orange this weekend for Campbell University’s annual Homecoming celebration on Saturday. 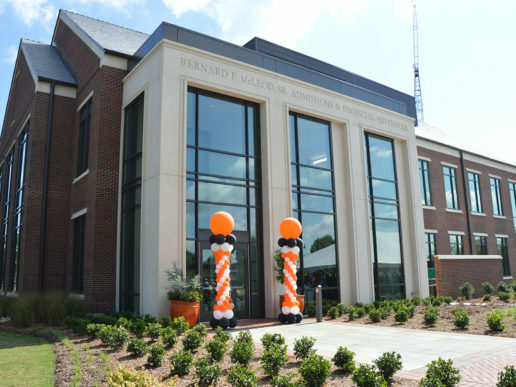 Main campus is host to events throughout the week leading up to the weekend parade and football game vs. Gardner-Webb. A full list of Homecoming Weeks events can be found below. 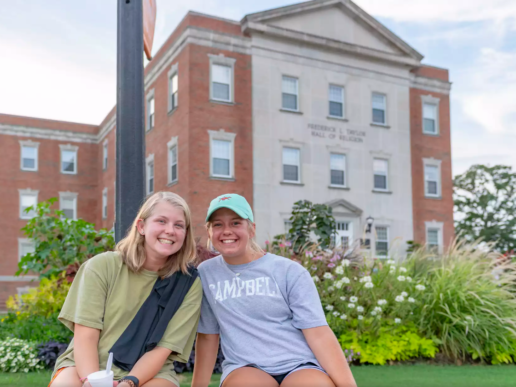 Every year on the Thursday before Homecoming, more than 400 tags are placed on buildings and items — including offices, campus landmarks, sports equipment, and classrooms — to serve as a visual reminder that donor generosity has helped make Campbell what we know and love. Embrace the Polynesian lifestyle outside the Convocation Center at 5 p.m. with a traditional dance troupe and shaved ice that will kick off the Basketball’s Homecoming Hoopla kick-off event. Meet the men’s and women’s basketball, and wrestling teams. See performances by the Campbell band, cheerleaders and dance team. Three-point shootout, dunk contest and more! 7 p.m. in Gore Arena. Three of Campbell University’s choirs will perform fall repertoire including some Halloween-themed pieces. Concert begins at 8 p.m. in Taylor Rogers. Join us at Scott Concert Hall at 10 a.m. as we honor two of our Business School Alumni with Outstanding Alumni and Outstanding Young Alumni Awards. Students, Faculty, Staff and guests are invited to attend. Top off Homecoming Week with a relaxing day of yard games and mini-donuts all afternoon in Academic Circle. Cheer on Campbell Volleyball in Gore Arena at 7 p.m. The annual 5k race begins at Eakes at 9 am. Register to start the weekend on the right foot! Juniors and seniors receive their official class rings on Homecoming Saturday. 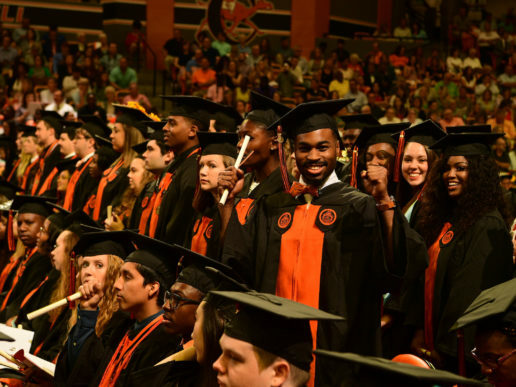 Join us in Butler Chapel at 10 a.m. to celebrate the achievements of our students. Campbell Wrestling displays their skills in the first scrimmage of the season in an unorthodox setting. Gather outdoors in front of the Convocation Center to watch our athletes compete at 11:30 a.m. 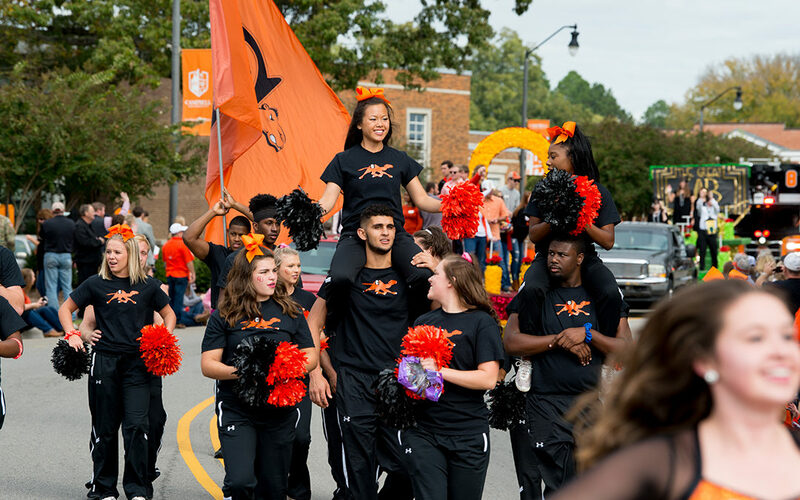 Cheer on Campbell athletes, student organizations and local university partners at the 2018 parade beginning at 12 p.m.
Catch the Camels in action in Gore Arena. Game begins at 12 p.m.
All Campbell alumni and friends are invited to a Homecoming celebration in Alumni Village at 12:30 p.m. 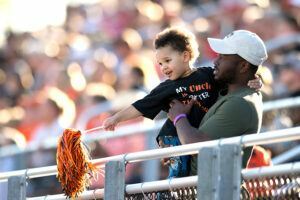 This Campbell tradition grows bigger each year and features fun for the whole family! Featuring food trucks, tailgating games, local alumni chapter information and the VIP Class Reunion Celebration for the classes of 1978, 1993, 2008, and the Golden Club. The Homecoming Game kicks off at 4 p.m. and the Harvest Court will be presented at half time. Day of parking will be available across from the stadium. Be sure to order your tickets in advance here!